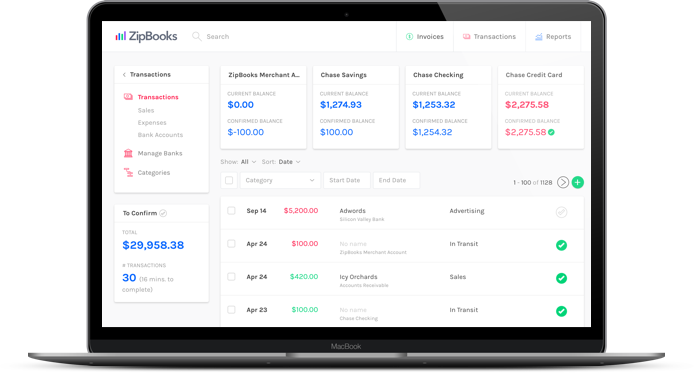 ZipBooks is the best free accounting software for Mac. 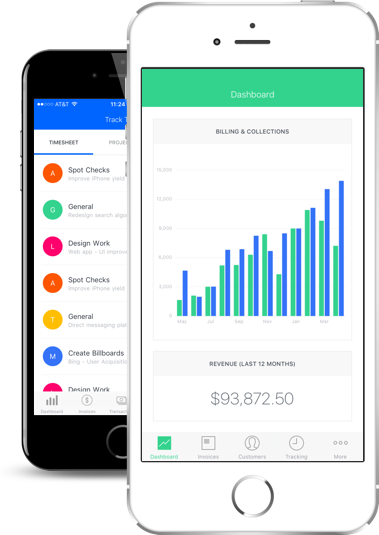 Sign up for a free account and gain access to our professional design, simple invoicing, and time tracking capabilities. 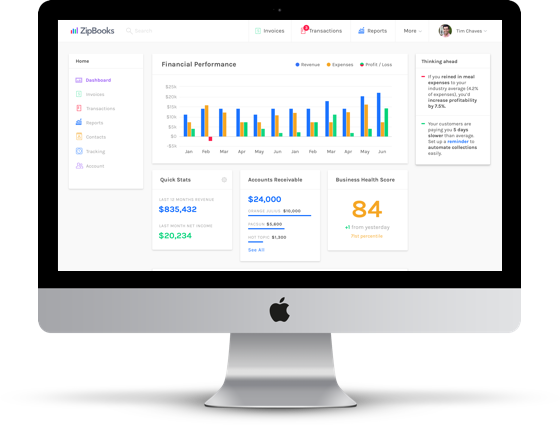 ZipBooks can help your business accomplish its financial goals today. 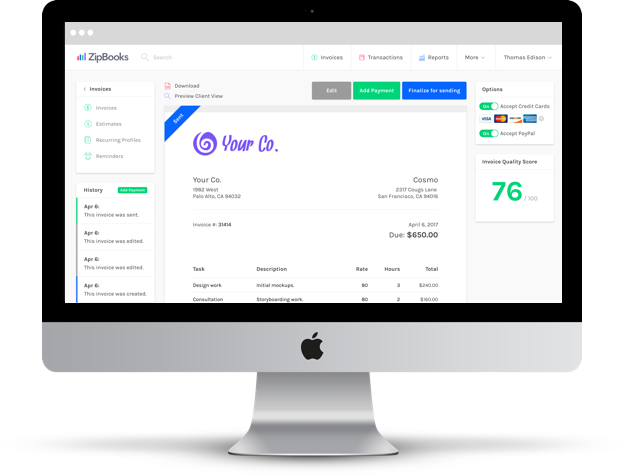 ZipBooks is free accounting software for Mac that allows you to create and send an invoice in seconds. 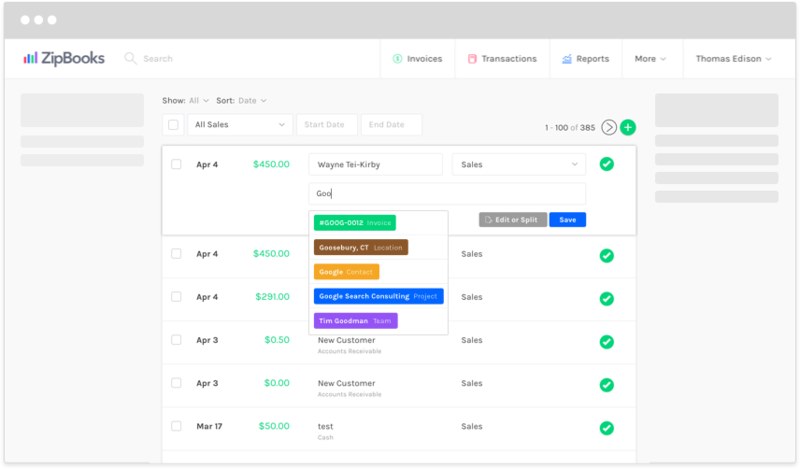 Just log in, create a new invoice, select a client, and opt to add unbilled time to that invoice. When including that time, you’ll have the option to bill by month or by project. 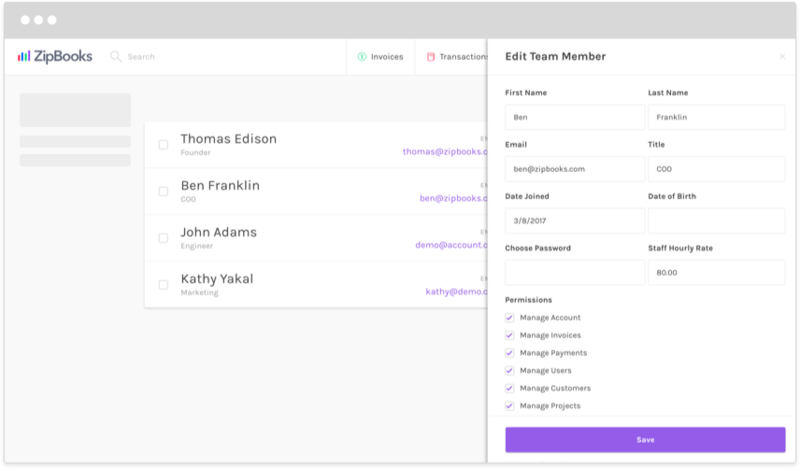 This allows you to bill a client for only a certain portion of the time you worked. Or, you can bill for all of the time you have recorded on a project. 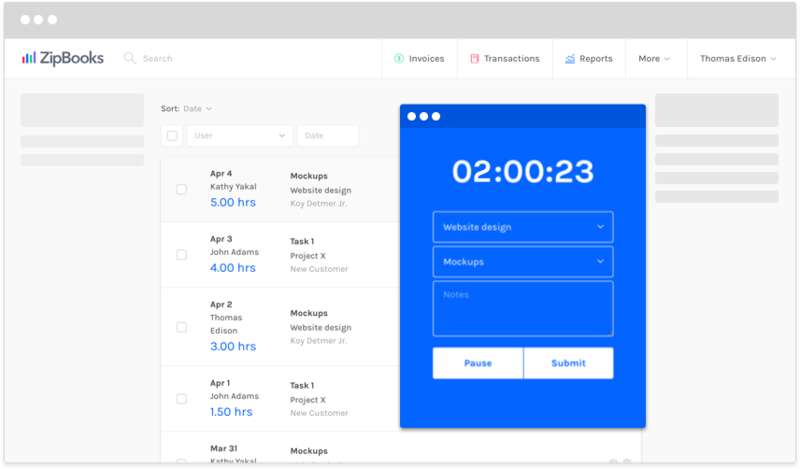 When you launch the ZipBooks time tracker, you can start and stop time as you work, or enter time entries manually. 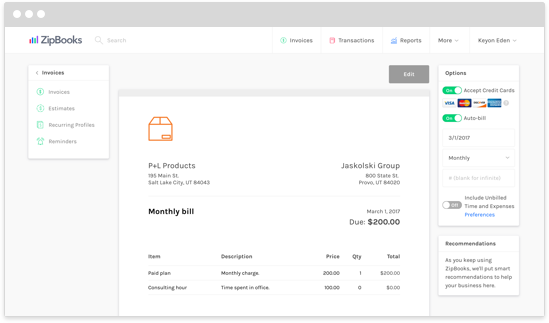 And with access to these tools from your mobile device, you can edit a project while sitting on the bus or update the payment status on your invoices while in line at the store. Keep your data up to date and online with a free ZipBooks account.